I have a 1986 Chaparral 198 C XL. It has obviously been re-done once already, but with a squishy floor and moldy cabin headliner, I'm going to have to do a restoration. What I can't tell is if someone already replaced the engine...just as there is no boat capacity sticker anymore, I don't see an I.D. plate anywhere on the engine. I see "GM" cast on the intake manifold, and cast numbers on various parts, but I have no idea if this is even a marine engine. It's a V-8, and it runs really strong, I don't see any rust issues (other than the "normal" type, on the exhaust manifold, etc.). I've looked all over, but can't seem to find a list of engines that this boat may have come with, and pretty much every one I see for sale has an inline 4 or 6, or a V-6 at most. It's connected to an OMC Cobra outdrive, and OMC exhaust. Can anyone help? That old of a boat. The H I N numbers could be gone also. Experienced people are what you need. Nothing else. NADA lists the original motor on those as the Mercruiser 140. But other boats of the same year seem to mostly have 200 or 220 HP Chevy small blocks in them. Maybe that's what you have. I can't see the image posted by Hatem for some reason. I will post what pictures I have of the engine in a few minutes. Actually, I'm not going to be able to post pictures until I get the file sizes down...they are all too big right now for this site to host. Sorry, bruh. The pic was up for a while and now the link is dead. One of those weird internet things. 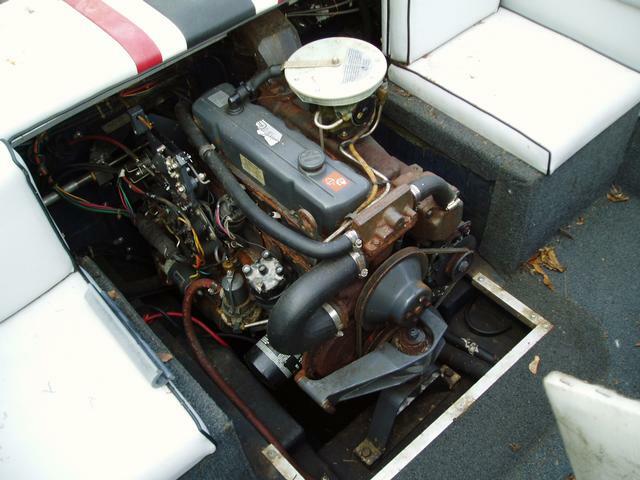 @RichMarionOhio used to have a 1987 198XL and it had a 4 cylinder Mercruiser 165 HP 4-cycle engine in it. Unfortunately is was set ablaze by some lowlife arsonist and he ended up buying a newer boat. But he would know more about these models and maybe he gets this tag and chimes in. One of the rarer, nicer fellas on this board. Here's the link to the pic of the Mercruiser 140 again, maybe you can see it now? Another one. Does look different than the one in your boat, even the engine mounts are different. Probably a Chevy small block and not the original Merc 140 if it has a GM stamp on it. Just a guess. I'm no expert but my old '87 Bayliner OMC had a GM 5.0 so I would guess yours is either a 5.0 or 5.7 GM. I got it with a cracked block and put a 1987 Camaro 5.0 short block in it, I just swapped the intake, heads, manifolds, etc over. The heads and block have a variety of numbers cast into them. Head numbers are generally under the valve covers. Because heads are sometimes used on more than one engine, it's typically more accurate to use block numbers. The block has a date code, block casting number, assembly date and product number cast into it typically. The first two are normally where the bell housing is attached, and the assembly date/date code is usually on the front. In addition, on certain blocks, there are numbers on one or both of the sides. These are typically the motor size and assembly date. All of these are sometimes hard to find. Often they are very dirty. Often it's hard to tell what a particular digit is. Once you've got the numbers, some, not all, GM/Chevy dealers will run them for you and tell you what you have. My cast numbers did match non marine cast numbers so I found these online, I hope they help. Who lived through the 80's and 90's and didn't love those 5.0's that came in either the Camaro, Pontiacs but especially that classic roar of the Mustang 5.0 that even if you added a Corsa exhaust to either the GM engines, they wouldn't sound anything like the 5.0 in the Mustang. Fun days, those were. I had a 1988 Pontiac Formula (it wasn't the 350) with the 5.0 in it and man did I love that thing! 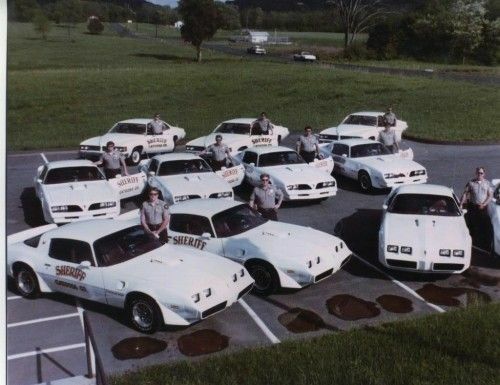 Our County cops back in the day. That's crazy that they issued those, very cool. Probably a lot harder to outrun those guys back in the day lol. Although I don't think it was much easier to lose one of them in a crown vic or a caprice classic, either. A far cry from the Ford SUVs they're in these days although some of those new, hybrid Dodge Chargers are pretty mean looking for sure.